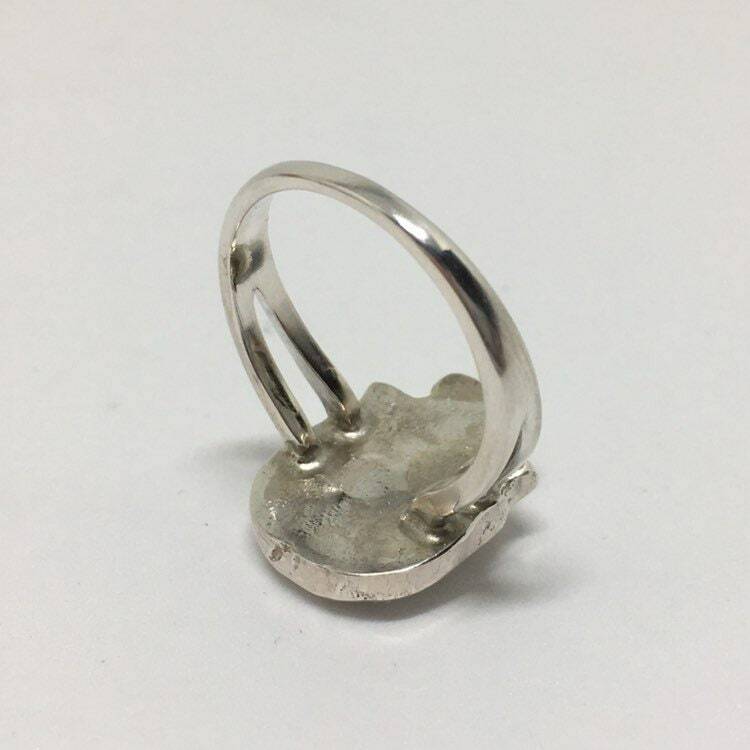 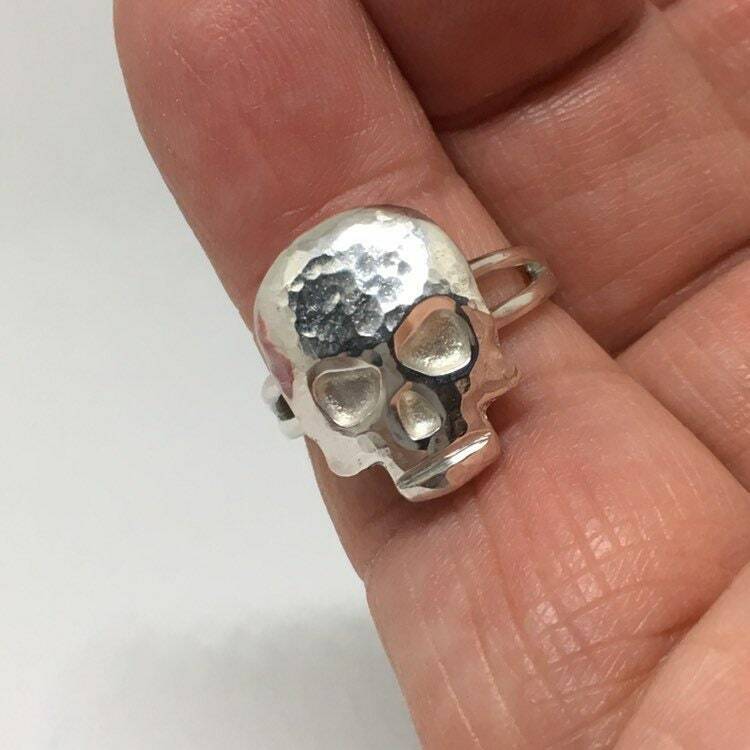 This is a sterling silver skull ring cast in solid sterling silver in our studio. 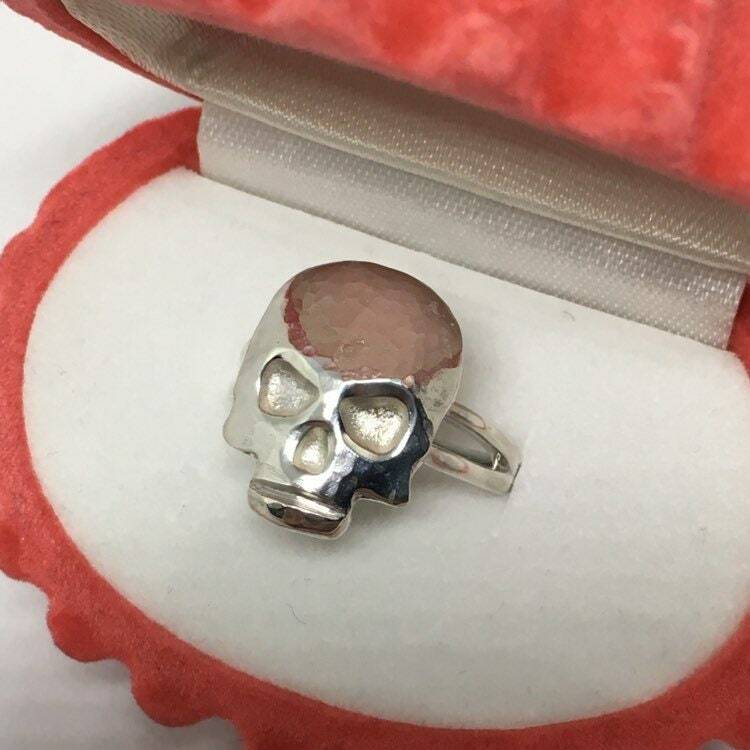 The skull is mounted to a size 8 twin band sterling silver band. 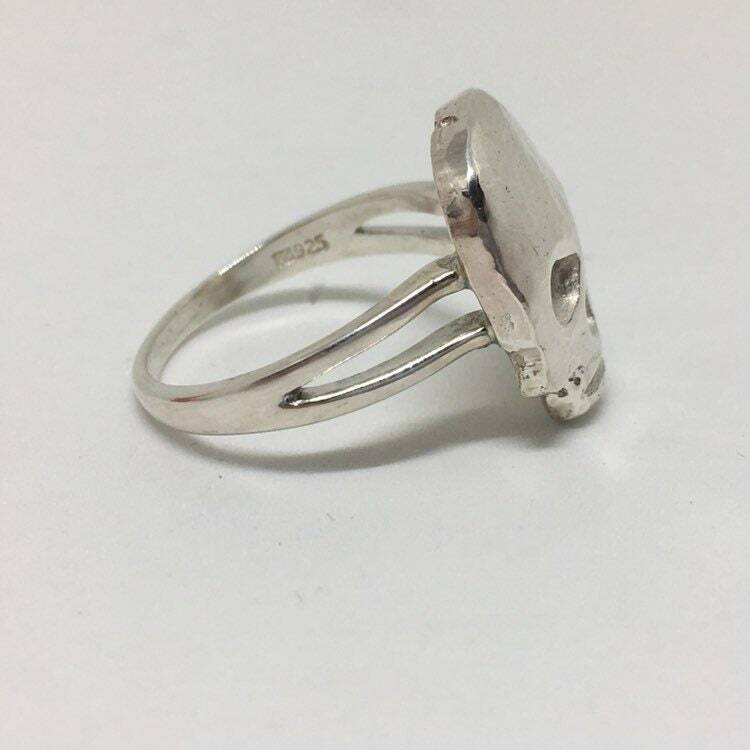 The ring can be resized from 7 to 8.5. 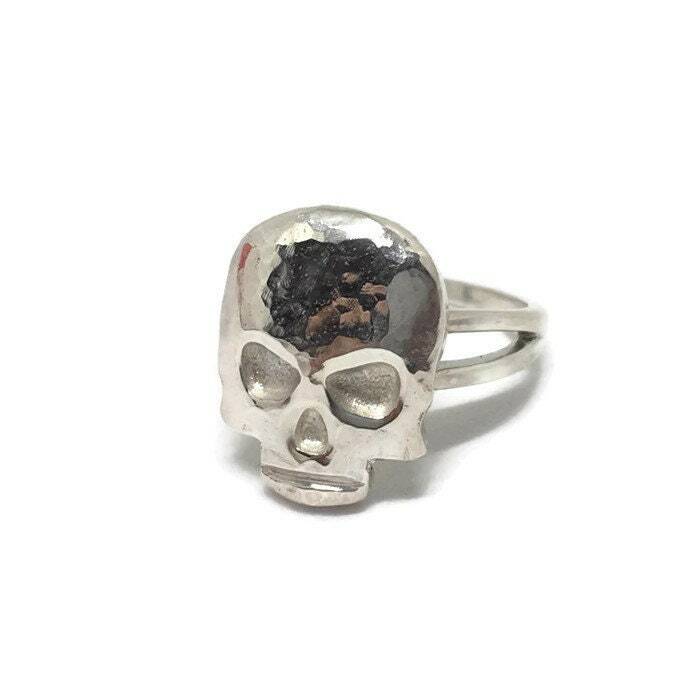 Just let us know when you order.